6.1 What Are Some Of The Causes? 6.1.1 How Can The Symptoms Be Avoided? 9 Why does the baby wake up? Having a baby unwell is not only uncomfortable for the baby but very stressful for the mother as well. If your baby has visible signs of being uncomfortable like throwing up or spitting, or it may have a cough and wheezing, you may have an acid reflux baby. The normal thing is to say your baby has colic. Not all babies have colic, and if your baby is just plain miserable, it may be an acid reflux baby. Infant reflux can be a serious condition and can lead to things like malnutrition and poor growth in the baby. There are a significant numbers of babies born with infant reflux to a certain degree. As much a 50% can have some form of infant acid reflux and it can be as high as 85% in premature babies. While most babies will outgrow infant reflux after only a few months and will probably not require any medical treatment for the acid reflux, there is a percentage that do not outgrow the disease and will have problems with it. Some can suffer complications and do not respond to the acid reflux treatment. Infant acid reflux is an uncomfortable sensation for the baby since the acids that reflux to the esophagus irritates the baby’s throat. But if the child develops complications, then outcome is they may suffer from gastro-esophageal reflux disease or GERD, for short. The complications of GERD include, but are not limited to, aversion to food, weight loss, esophagitis, asthma, apnoea, wheezing, anaemia, Barrett’s esophagus. They may need feeding by tube. Other problems can be that the acid can erode the teeth enamel. Commonly, acid reflux occurs when abdominal pressure increases while the baby is very full. Coughing and crying right after the baby had been fed can result to that pressure in the upper stomach which pushes the stomach acid to the throat. The lower esophageal sphincter (LES) opens to allow gas out when the baby is burping after meals, this is normal in children and in adults alike, but with GERD the stomach contents enter the esophagus and sometimes out of the mouth. Stomach acid in the expelled contents irritate the babies esophagus, throat and mouth and can lead to some of the acid reflux problems already mentioned. Gerd can also occur when a baby coughs, strains, and cries. While there are noticeable symptoms of acid reflux, some infants may not show signs such as throwing up and this condition is called silent acid reflux. It’s because their tendency is to swallow up the acids instead. Although, the child is not pestered by the reflux, this could still result in irritation and damage to the esophagus. One way of detecting silent acid reflux in infants is using a PH probe. Babies with infant reflux can be distinguished by the amount of time the esophagus contains acid. Taking an esophageal PH test will allow the doctor to determine if GERD is present. A tube is passed through the nose into the esophagus and a tiny acid sensor records and sends back a signal as to how much acid is present. To diagnose acid reflux in infants other tests can also be carried out. One is to have endoscopy where a tube containing optical system for viewing is entered down the throat into the gastrointestinal tract. The doctor can check for any problems in the esophagus lining, stomach and duodenum. Another acid reflux test is an x-ray, where the patient swallows barium and an x-ray of the esophagus containing the barium is taken. The treatment for acid reflux in baby will depend on the child’s age and symptoms. The effective cure for infant acid reflux in babies is a thickened formula. This could be done by adding cereal into the baby’s food. And when feeding the infant, keep him in an upright position and not lying on his back. Feeding the baby smaller quantities at more frequent intervals are also helpful as it decreases the chance of acid refluxing. While changing a diaper, especially after feeding when you know that the infant is still full should not be done with the baby on its back. Burp the baby frequently when feeding say once every 1 to 2 ounces of formula will help to reduce the acid reflux. Acid reflux medication may be taken but you should always take your doctor’s advice and diagnosis before using any. Breastfeeding will also serve as a great help to decrease the vomiting and the symptoms of acid reflux in infants. The nutrients in a mother’s breast milk have been proven to supplement the needs of the infants. Plus, the natural formulation of breast milk avoids the side effects such as constipation in chemically prepared medications. However, the paediatrician can prescribe other acid reflux medications to give relief to the infant in times of discomfort. The parents must take note of the critical administration of the drug. In case the particular formula prescribed does not work or results in graver side effects, it is advised to move to a different one. Once infant acid reflux is detected, precautionary measures should immediately follow. Since the infant cannot yet speak of the discomfort he is suffering, parents should be patient enough to attend to their needs. You do not want your acid reflux baby to grow into an acid reflux adult. This discussion would be more comprehensive with the understanding of the physiological or the mechanical aspect of the condition. The body has a band of muscle in a circular structure that is called the lower esophageal sphincter. This muscle detaches the esophagus from the stomach. When food comes into the stomach, it closes so as to prevent the stomach acids and contents from backing up into the esophagus or regurgitating. But in the case of some babies, the lower esophageal sphincter has grown immature. As such, the partially digested food and digestive acids are allowed to be refluxed. This condition causes irritation in the esophagus lining which results to inflammation that is also commonly called as heartburn. Acid reflux among babies usually develops when they are between two to four weeks old. Doctors usually prescribe medicines that minimize the production of digestive acids. Within six to nine months, the acid reflux starts to naturally subside. At this time period, the babies spend most of their time in an upright position. This is to apply the law of gravity on the food taken in; that is, the food stays down more naturally and reduces possible regurgitation. Prepare smaller feedings recurrently. It makes sense to feed your baby more than usual but less than the accustomed. If lesser volume of milk goes into the stomach, the digestion will be faster and there will be fewer amounts of contents available for regurgitation. Maintain the baby in an upright position after feeding. As discussed earlier, gravity helps to keep the digestive contents down. Position your baby seated in your lap while his head rests on your chest. Keep this position for at least half an hour after feeding. Breastfeeding helps a lot. Breast milk is well-known to have many advantages over other commercial formula, mainly for babies with acid reflux. Breast milk can be digested faster, which of course lessens spitting up and it has special enzymes that assist digestion. In addition to that, breast milk does not trigger allergy to babies compared to other milks available in the market. But for those who are formula-feeding, it is advisable to use milk with a hypoallergenic formula as advised by a doctor. Aside from having higher tolerance with sensitive intestines, hypoallergenic milk can also be digested faster by the stomach so as to minimize refluxes. Set your baby in a comfortable position when asleep. Since when a baby lies flat when sleeping, gravity cannot help in keeping the food down in this set-up. As a result, a baby with acid reflux often has to endure a sore night waking. If a baby can sleep soundly, then there will be no need to call for a change in his habit. But some babies become restless, which can be noted by abdominal pain, acid breath, and wet burps. In this case, it is recommended to elevate the baby’s crib to about 30 degrees. This will be enough to reduce the regurgitation. You may also try to train him to sleep on his left side. Infant acid reflux symptoms are customarily cramped to spitting up and rancour. More serious symptoms can prove the participation of baby GERD. Spitting up food is the many usual infant acid reflux symptoms. Spit up caused by infant acid reflux is such a usual occurrence that many people don’t associate baby spitting up with a medical condition. While spitting up is really usual, and not customarily cause for warning, it does prove the participation of infant acid reflux. For the infancy of babies, infant acid reflux symptoms cause no inauspicious effects, and the condition resolves itself with time. For a tiny percent of infants, infant acid liquid symptoms prove a more serious medical condition, such as baby GERD (gastroesophageal reflux disease). Spit up is the classical symptom of infant acid liquid. During or after feeding are the many usual times for spitting up, but are frequency the only times. Babies with infant acid reflux can spit up while great. They can spit up while shouting. Straining to pass a bowel transformation can additionally result in spitting up. Coughing is an additional event for spit up. Most babies sojourn blissfully preoccupied during all of this slimy, slippery spit up. A baby can be lonesome with spit up and sojourn happy and giggly. Discomfort, trouble, or pain while spitting up indicates more serious infant acid reflux, and should be reported to the baby’s doctor. Spitting up is often accompanied by other infant acid reflux symptoms. Rancour while feeding is a usual symptom, often accompanied by bad feedings. Sudden great, viewable pain and colic-like symptoms are not normal infant acid reflux symptoms, and should be reported to the baby’s doctor as shortly as possible. Certain infant acid reflux symptoms prove the probability of more serious conditions, such as baby GERD. While spitting up is submissive, spit up that is green or brown is really not normal for a breastfeeding infant. Spit up that contains blood indicates an evident need for a medical examination. Copious amounts of spit up( dual or more teaspoons at a time) is not normal. An additional warning sign is”projectile” spit up: spit up that flies out of the baby’s mouth and travels some distance. I urge you to consider these simple tips before considering any prescription meds. Do you notice that it seems your baby is experiencing difficulty when being fed? That they usually vomit or spit? This seems to be Gastro Esophageal Reflux Disease. Ignoring this may lead to your infant’s malnutrition and poor growth. Acid Reflux on infants is an irritation on the baby’s throat. This occurs when the baby is full. The abdominal pressure increase causes the food that the baby just eaten to go out. The food is urged to go back and reach the esophagus. Infants suffering from disease have noticeable weight loss, vomiting whenever after feeding, choking while drinking milk, drooling too much, rejection of food, and sometimes chronic ear infection. Sometimes, babies intend to have unnoticeable symptoms because they just swallow up the gastric acid. This more triggers the irritation on their throat. Though not noticeable, secretly the baby is suffering. A pH probe is an option to know if the baby is suffering from GERD. A pH probe is a device used to measure the activity of the hydrogen ions. To know if the baby is experiencing Acid Reflux, one of the tests that are being considered is the barium test. It is done by swallowing a small amount of barium. After this, the doctor will then see the passage of the food towards the esophagus and the stomach. This test will only take in effect when the child is experiencing the disease. Another solution will be taken place to swallow before the x-ray. Through the use of endoscope, the doctor will see the mouth, esophagus, the passage of food, and the stomach. The best cure for this on infants is a coarse formula. This can be done by putting cereal on the baby’s meal. Don’t let the child to eat or drink while lying down. Make sure that he or she is always in an upright position when being fed up. Even when changing the diaper, whatever the baby will do, when he or she just fed, make sure that the infant is sitting or standing, with the torso elevated. Letting the child lie down will make the food go up to the esophagus and on the mouth. Let the baby have a loud burp after meals to avoid air which causes the pressure on their stomach. Like on adults, diet is also advised on infants. Feed them small amounts of food on small gaps of time. Breastfeeding is also found to be an effective prevention and cure against GERD. The milk from a mother’s breast found to have nutritional supplements that could help infants. Also, the nutrient on breast milk avoids constipation in chemically-prepared medicines on babies. The medication that is taken by the child should be closely monitored by the parents. In case the medication does not work, it is advisable to go back to the doctor for other options. Because the infants do not still know how to show their agony or suffering, the parents should immediately call for help from a physician to prevent complications. Acid reflux in infants is something that is pretty common. Every year this disease affects millions of babies around the world. Knowing whether or not your child suffers from acid reflux is important. There are different levels of the disorder, ranging from mild to severe. Sometimes, your child’s symptoms can be a sign of a more serious version of the disease known as gastroesophageal reflux disease or GERD for short. It is very important that you see your doctor right away if you suspect your child may be suffering from GERD because of constant vomiting or spitting up. There are times when the symptoms just mentioned may be related to something more severe like pyloric stenosis. This is a rare disease that prevents the stomach contents from emptying in the small intestine because of a narrowed valve between the stomach and small intestine. While the causes of infant acid reflux are several, these are the most common ones. Babies that are constantly lying flat are a lot more susceptible to suffering from reflux. This in conjunction with a liquid only diet is a sure recipe for acid reflux. There are times when air bubbles in the stomach tend to push liquids back. This may be simply because your baby might be eating too much at a fast rate. For newborn infants, the muscle ring between the stomach and esophagus may not yet be fully formed. This will at some point open up only when the baby is swallowing. When the baby is not swallowing, it will remain tightly sealed which will keep the stomach contents where they should be. Keep in mind that although acid reflux occurs mostly after feedings, it can also occur when your baby cries, coughs or runs. Pretty much anything that puts strain on the throat can trigger the acid reflux. An allergic reaction to the protein in cow’s milk can be another component. You should check with your doctor to see if your baby is allergic or not. Your doctor may suggest cutting dairy from your baby’s diet as a reflux solution. 1. Make sure your baby is in an upright position during feedings and 25 minutes after whenever possible. Make sure you don’t move your baby around a lot and just let gravity do its thing, by helping to keep the stomach contents down. 2. You should also burp your baby more frequently. Just make sure to keep your baby upright and to not put him or her over your shoulder. This will put pressure on your baby’s stomach. 3. Feeding your baby a little less a little more frequently can also help. This will help in making the digestive process easier and better to manage. 4. Ask your doctor if you can slightly thicken the baby’s formula or milk. This can also help in preventing the stomach contents from rising to the esophagus. Surgery in rare cases will be the only solution. Surgeons will tighten the lower esophageal sphincter to prevent the acid from going back up into the esophagus. This procedure is only done for babies that are suffering from such a severe case of acid reflux, that it’s preventing their growth or causing breathing problems. If an infant is more than three months old and still experiences frequent spitting up, drooling, stomach gas, bad breath, hiccups and/or refusal to eat, parents should ask their doctor if acid reflux may be the problem. Since infants are unable to verbalize their symptoms, acid reflux in infants can be difficult to diagnose. Treatment is also problematic since most medications are not intended for young children and their diets are difficult to change. For infants who are breastfed, a change in the mother’s diet may ease their symptoms. Breastfeeding mothers should avoid caffeine, alcohol, smoking, spicy, fatty and citrus foods, including tomatoes, garlic, chocolate, mint, and onions. An acid reflux diet for mothers may resolve symptoms in an infant. If a child is formula fed, a change in formulas may ease symptoms, but this can be a trial and error process. Soy-based formulas may cause fewer symptoms of acid reflux in infants than formulas with a dairy-base; since soy is usually more easily digested and has been known to be a better home remedies for the right acid reflux diet. In cases of severe acid reflux in infants, a doctor may prescribe an antacid or acid suppresser to control the symptoms by reducing acid production in the stomach or to neutralize the acidity and avoid heartburn. In young infants, these OTC medications should only be prescribed by a doctor since over-the-counter medications are formulated for adults and may cause unforeseen side effects in infants. The dosage of medications for infants is based on their weight and only a doctor or pharmacist can determine the correct dosage of medication for a small infant. While acid reflux in infants is a common medical concern, it is usually not serious and symptoms generally treat themselves within the first year. For those children with more serious symptoms, additional treatment by a physician may be necessary, including lab tests or pH monitoring. The mother’s diet can cause acid reflux symptoms in breastfed infants so mothers are encouraged to change their diets if their infants suffer from acid reflux. For parents interested in learning more about acid reflux, discover exactly what is acid reflux as well as research the proper acid reflux diet to help you decide what foods to avoid. Parenting is one of the most difficult jobs. It requires a lot of patience and multiple sleepless nights. It is not uncommon for a new born child to continuously cry at night. You might have even noticed much newborn sleep during the day and wake at night. Such a sleeping pattern is normal and can be related to a jet lag, in adults. Why does the baby wake up? Remember! A foetus is developed in mother’s womb without a direct impact of light. After delivery, a child is exposed to light for the first time. In hospitals and intensive care units, the entire ward is flooded in white. It is therefore difficult for babies to adjust to the new conditions. Human body reacts to unfamiliar conditions, therefore it develops a natural tendency to cringe for the light and go in sleep mode. At night, the conditions for body are more familiar, therefore a new-born may feel more comfortable. Such a state is very short and temporary. Soon, babies adjust to a new world. Even after a month, many babies are sleepless throughout the night. Parents need to teach babies to sleep by attending them at night. Yes, it is difficult but certainly doable. Initial periods may require parents to continually feed babies after three to four hours. Very few infants are able to continuously sleep for more than four hours. During sleep cycles they will require at least one hour of feeding, petting and burping. This leaves most parents with only two hours of sleep during a baby sleep cycle. In order to effectively improve the sleep timings, parents need to develop sleeping habits. It can be developed by trying to coax the baby to sleep without the regular feed. If you feel that a lullaby and rocking is helping, you don’t have to feed the baby. After three months, try putting the baby in coats. They will definitely wake up in the middle of night but try not to pick them up and sooth them in their coats. Ultimately, they will adjust to the new environment. When your baby is dealing with an unpleasant condition such as acid reflux, it can be extremely hard for you personally being a parent to cope with. The last thing you want is for your baby to be suffering in any way, and acid reflux in infants can get to become quite uncomfortable. Reflux disease generally is really a very common condition and thus a minimum of you do not have to worry for the reason that regards and also you realize that there are sufficient solutions obtainable that your doctor will certainly manage to find one that works for your little one. Besides finding appropriate treatment for reflux in infants however, you are also going to want to get some infant reflux support, especially if your baby has been coping with it for a while now and you’re simply beginning to feel the effects. Being a parent we care so deeply for our children and thus to see them spitting up and crying a lot more than normal and otherwise just not being happy, it is very hard and it can be wearing. The DEX Products Safe Lift Foldable Crib Wedge is designed with a slip backing that keeps it in place. It gently elevates your baby’s head for easier breathing and better digestion. Crib wedge helps relieve nasal congestion and promote the sleeping position recommended by paediatricians. Fortunately, there are options for infant reflux support, stuff that you can do so that you can meet other parents who are exactly like you and who have kids with infant reflux and who require infant reflux support of their own. There are a few methods to start finding infant reflux support. Where to start could possibly be the Internet, where you stand going to find a range of different chat rooms and forums where one can get the infant reflux support that you are looking for here. It is possible to locate parents from all over the world and because you are online, this means that you are going to be able to speak with them over your computer, from the comfort of your house or office. This way, you are going to have people there to offer you infant reflux support, because they know what you are going through. Not only are they going to be there to hear you and also hear you vent, but too they might be able to offer you helpful applying for grants the various stuff that you can test to deal with the infant reflux, stuff that maybe they did for their own children and that they found had worked. Everything you can learn about a condition like this the better from you as well as your child is going to be. It’s difficult to provide accurate acid reflux diet information, but we have gone through the rigor of putting together as much acid reflux diet related information as possible. Even if you are searching for other information somehow related to acid reflux in children, apples and acid reflux, diet for heartburn or acid reflux hernia this article should help a great deal. There are other herbal acid reflux remedies such as slippery elm bark powder. In every Herbal Acid Reflux remedy, a variety of herbs such as Alfalfa, Chamomile, Walnut and Acrimony etc. are being used. It is especially useful for infants and young children as acid reflux in infants is difficult to detect. 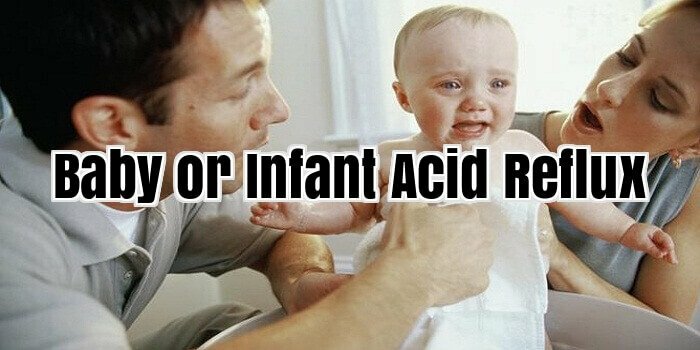 Herbal acid reflux remedies come in handy as they are perfectly safe for infants and young children to consume. If you suffer from acid reflux you are probably aware that there are certain types of food that can trigger this action. However, at the same time, there may be some foods that do this that you are not even aware of. Smoking and acid reflux: If you are smoking, then it might be the main factor that contributes to your acid reflux symptoms. You may wish to quit smoking or reduce your smoking habit to keep acid reflux at bay. Acid reflux occurs when the muscle between the stomach and the oesophagus gets weak or relaxes at the wrong time. The result is that the stomach contents, including the acid, move up into the oesophagus. Acid reflux is also call gastro oesophageal reflux or just oesophageal reflux. Acid reflux causes are different in different people. In some people it can even go undetected. Following a well laid out acid reflux food plan would be more beneficial than taking antacids every day. Antacids reduce the level of acids in the stomach and actually prevent the natural process of digestion since antacids work by getting rid of the acids needed for breaking down food. Thus, taking antacids can actually be harmful to the digestive system. Lack of acid causes more problems such as improper digestion of food and making the acid reflux sufferer more susceptible to other digestive related problems. You can help find cure for your acid reflux (or gastro oesophageal reflux disease) with a little patience and a lot of will power. Finding an acid reflux will not be as easy as you think; it will take some hard work to achieve a pain free body. The most important thing is to get as much information as you can on acid reflux. Be familiar with the condition. You also need to talk to your doctor about any acid reflux cures and treatments available to you. You can then start to design your lifestyle around being acid reflux free. You will need to incorporate all these things into one to get the best acid reflux cure possible for your situation.